malibu is my paradise and has been my home for the last 26 years. i can’t think of anywhere in the world i’d rather live. that being said it’s not for everyone. remote, quiet and pretty much an early to bed place, if you’ve not visited us you may be surprised. it’s not beverly hills on the beach. it’s mostly no make-up and flip flops half the year, boots the other. that’s if there are any shoes involved whatsoever. it’s surfy and it’s horsey and it’s cool because no one tries to be - because to be honest no one cares. malibu locals are private but friendly and though it’s a very small town i can’t think of one time anyone has gotten in my business. what makes malibu special is that when push comes to shove we are all there for each other. no matter how many zeros someone has behind their name or how few. completely and absolutely, this town comes together. this is my third evacuation. this was the scariest. not only did we have the santa anas once but back to back. our brave first responders couldn’t catch a break. the firemen staying in the same hotel as us were working 24 hour shifts. in the heat, with the heavy gear doing everything and anything in their power to save us. rushing in as we ran out. incredible. to think a week ago i was writing a blog for this week giving you my stuffing recipe. blink of an eye. it’s all changed. blink of an eye. it’s all gone. to say i’m blessed is putting it extremely lightly. i have angels all around me. 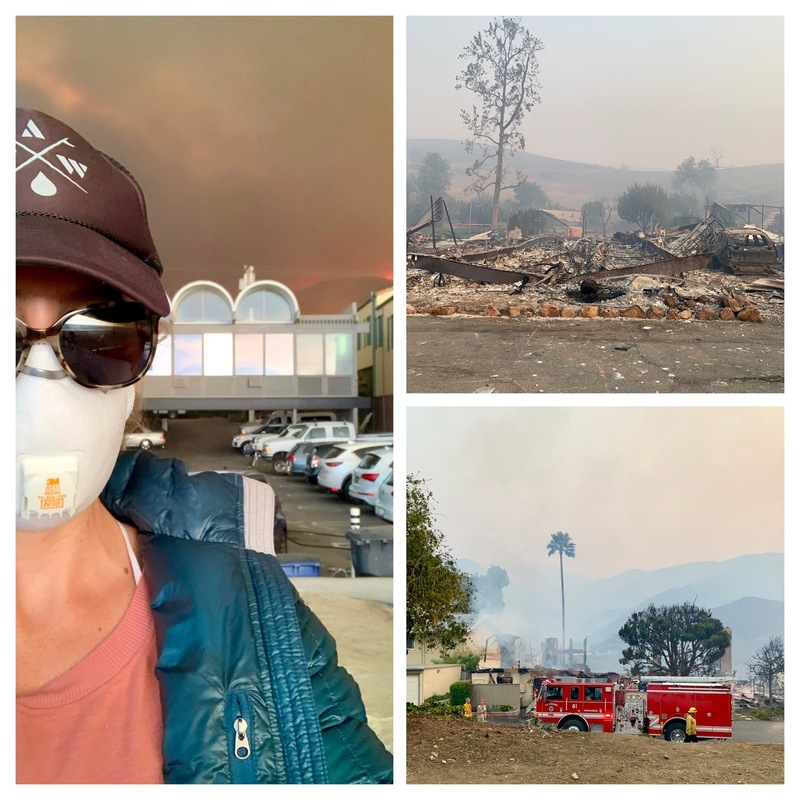 to our own sweet katie and her husband, taylor, along with dear friends barbara and steven, shen and emma, mike and family and lisa along with everyone who lost everything. we are wrapping you in our love. sending strength, thoughts and prayers. but it’s not enough. 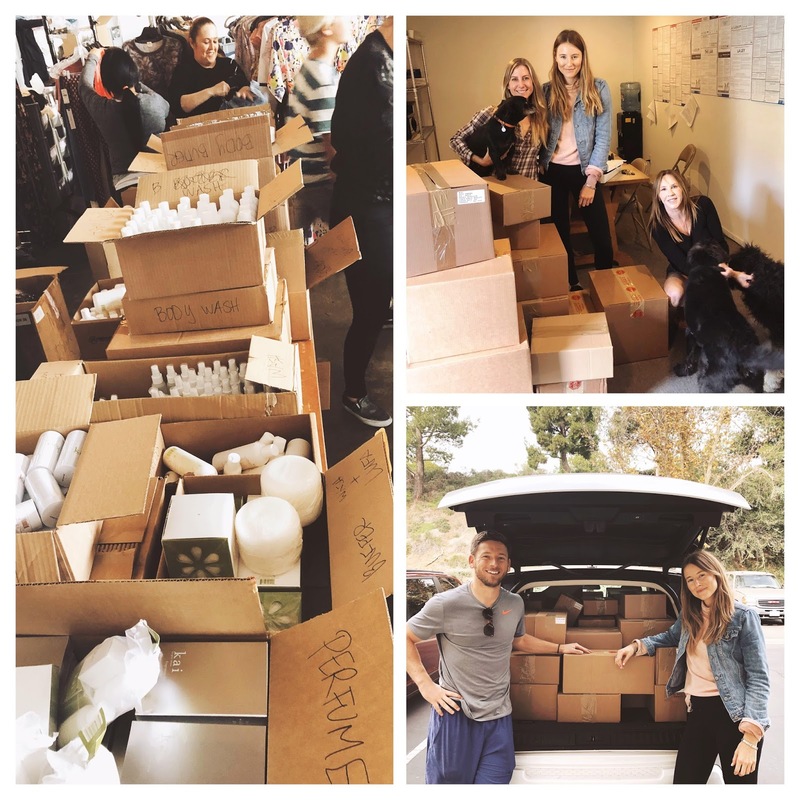 we are working with one love malibu to get supplies to those who need it most. tori praver and amber farr started one love malibu 5 days ago to help rebuild this beautiful community. they have already raised $100k and collected donations from local brands and hosted their first pop-up on wednesday, november 14th. all those affected by the fires were able to go and get any items they need. if you can please help those who have lost. nothing is too small or inconsequential. like i said we all pull together. getting supplies up the coast via boat. my neighbor dawn making sure our elderly housebound neighbor had meals. bridget and zak and their band of bad asses putting out brush fires at total strangers homes. like I said angels all around us. god bless our neighbors in calabasas, westlake, agoura hills, simi valley, thousand oaks, ventura county ...and to all those affected as well as our not so near neighbors in paradise. our hearts break with you. with love and gratitude to our first responders. we are forever in your debt. 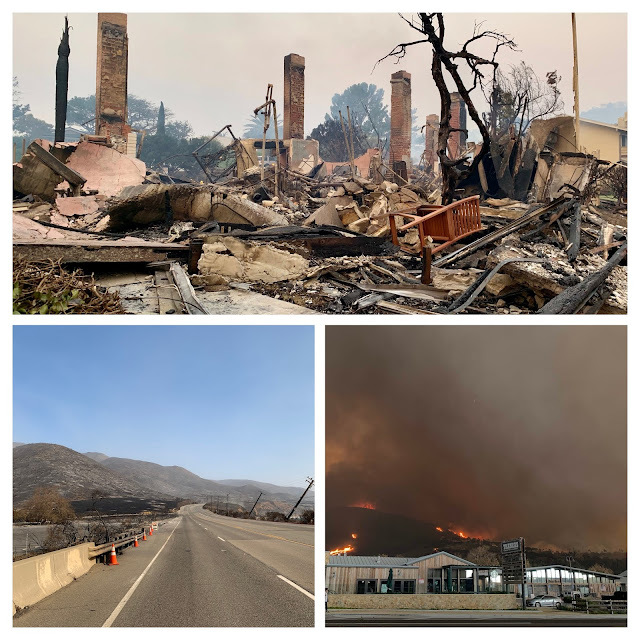 special thanks to LA County Fire Department captains, jeff harms and randy perry, and our dear friend eoc coordinator community impact team malibu/lost hills sheriff station deputy, mark winn, for the support and constant updates and just taking care of us in general! as i said, we were the lucky ones but the fire came way too close to our warehouses so instead of shipping holiday orders this week, i found my team re-boxing every single case of every single product we sell to make sure to get rid of any and all smokiness. as usual, it was nose to the grind stone and we are only a couple/few days behind. big hugs for my kai angels, tyler and makela. i have the best team in the world!!!! a very special thank you to you all!!!! pappi, i couldn’t breathe without you. we make a great team and i love you more than ever. lastly to my dogs luna, jax and blue to whom i kept saying “who are you?” i thought many times over the last five days in hotels that i accidentally took someone else’s dogs. it’s usually pure mayhem when we go for a simple walk. these guys were absolutely perfect! thanks for indulging me with this very personal text. very grateful and needed to tell my story. that’s actually the most incredible part of this last week. everyones' stories are so different yet so amazing. Gaye, thank you for sharing your heart. Your community and family are in my prayers. 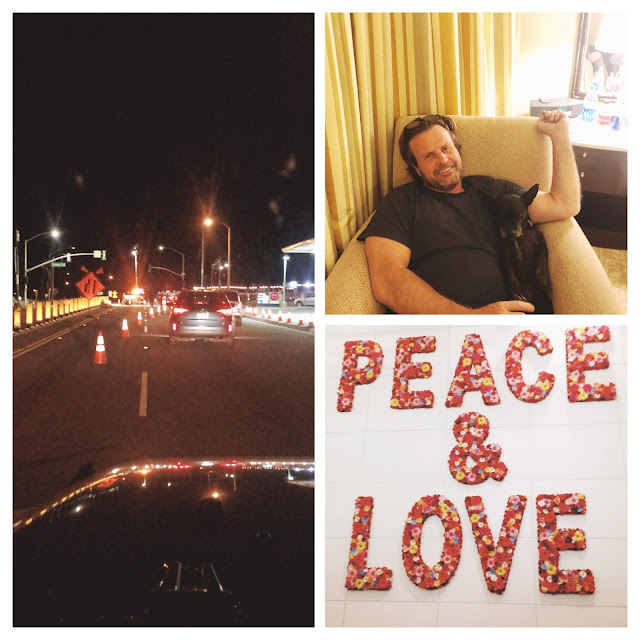 Sending you my love from Irvine. 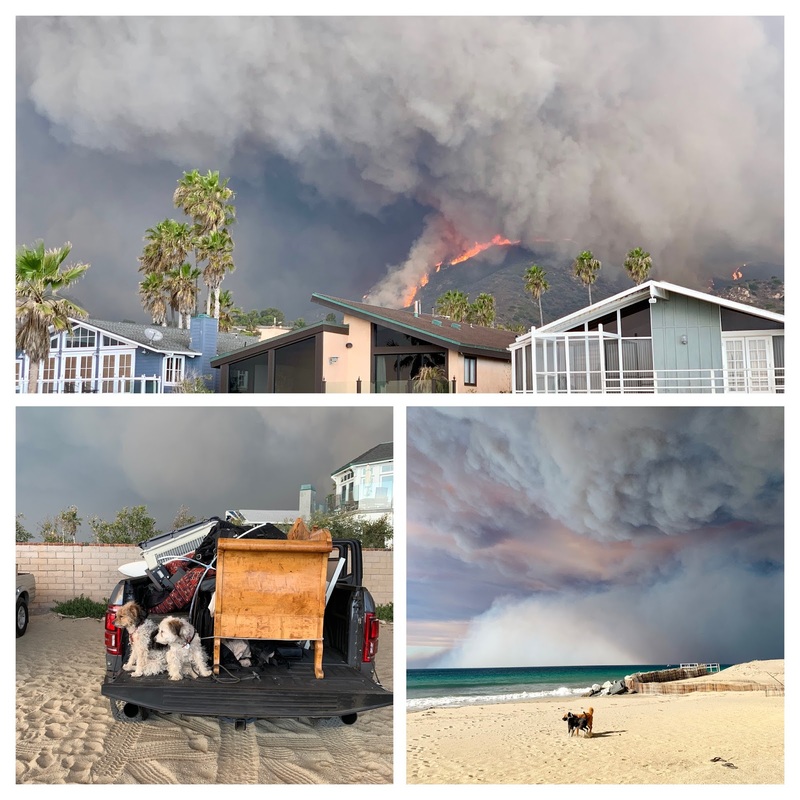 My sister is in Paradise Cove, and one of her neighbors Saved The Cove. Malibu is incredible! YOU Gaye with your products are also incredible. And I will be buying this Christmas to support you. Here's hoping you all get back into your homes in the next week or so. I know my sister's been friend house hopping for weeks. It's all so stressful, but it's all so beautiful how this community has come together!